Muharrem İnce, the presidential candidate of the Turkey’s main opposition party CHP, has vowed to provide “peace and comfort to the country” if he is elected president in the June 24 snap elections, ending discrimination against citizens due to their ethnic, religious or political backgrounds. “How will we bring peace? Secondly we will grow economically. Thirdly we will share economic revenues. We will end inequality of income distribution. 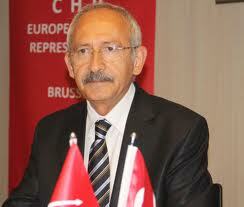 And we will introduce the rule of law,” İnce said in a rally in May 14.